Any kind of vehicle accident can be a disorienting and confusing time. The loss of your vehicle, the potential for long-lasting injury and the ever-present concerns over the financial damage present and future can be overwhelming even for people who otherwise have their lives flawlessly managed and organized. 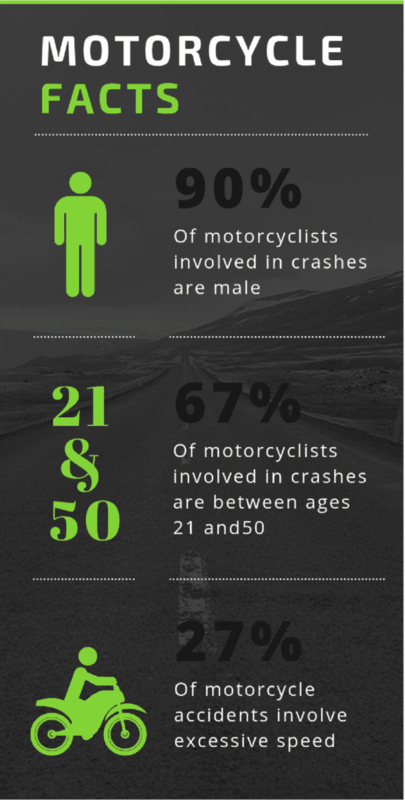 When your accident involves a motorcycle, all of these concerns are amplified, especially the possibility of a life-changing injury. While it goes without saying anyone involved in an accident should consider retaining immediate legal representation, the reasons for that advice can be difficult to explain, especially for those who are not fully aware of the risks present at the average accident scene. If we presume hiring an attorney is a given, here are some things you should consider about your actions immediately following a motorcycle accident. Naturally, if you’re in a position to assist, you need to make sure immediate injuries are treated, first aid is rendered, vehicles are moved out of traffic and any threats to the safety of involved drivers or bystanders are addressed as quickly as possible. Machinery and money are replaceable, whereas lives are not. Vehicle collisions in Oklahoma that resulted in injuries will require calling for police and emergency first responders as well. What most people never consider, largely because the word “accident” implies nobody can be immediately blamed, is the potential criminal liability that persists at any vehicle collision scene. As with any situation where the risk of criminal charges is present, involved citizens should exercise their right to remain silent and to answer no questions about the nature of the accident or any of the details of the incident until an attorney can be consulted. Everyone at the scene needs to be identified. While the police will probably do an adequate job, as one of the involved drivers and a potential litigant, you need to develop your own evidence. Knowing who is involved, is the first step towards being able to reconstruct the accident scene later, and that is something both your Wandres Law attorney and your family will be grateful for. Take pictures of licenses, insurance documents, and license plates if you can. Chances are if you are like most people you are carrying a mobile phone. Use your camera to get videos and pictures of everything at the scene. Take special notice of any nearby surveillance cameras and get pictures of the road and weather conditions at the scene as well. Don’t forget to document the damage to all vehicles involved and get pictures of vehicle interiors if you can. Another thing your Wandres Law attorney can help you with is dealing with your insurance company. It is always a good idea to let your lawyer handle the details so you can recover. Having someone on your side when you are navigating the world of medical treatment, insurance, liability, and possible litigation is a crucial advantage and one neither you nor your family should be without.